Our team of agronomists are able, with a wealth of experience, to plan crop rotation and input regimes to a level appropriate with your needs. 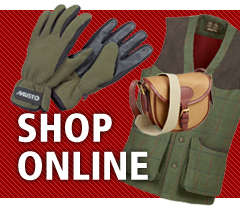 Using a range of products we are able to maximise financial returns on each and every crop. Was born and bred in Shropshire. He graduated from Newcastle upon Tyne University with BSC (Hons) in Agriculture and Environmental Science. After University he joined a Shrewsbury based agricultural company, then progressed on to jointly establishing BCW (Agriculture) . He is Basis, FACTS, Amtra and Beta qualified. Nigel very much enjoys working within the challenging agricultural climate, and works with a mixture of farm types. 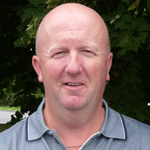 Outside of work Nigel is a keen golfer, and is a big Chelsea supporter. 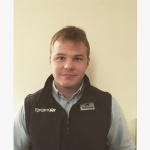 Born in Dorset and gained valuable dairy experience working on a 5 herd dairy unit in the area. Studied BSc in agriculture at Harper Adams and spent 14 months on a 2500 arable estate mainly on cultivations, spraying and as a combine operator. Jonathan is BASIS and FACTS Qualified and also has the PA1 and PA2 sprayer certificates. Outside of work he enjoy's walking, cycling and following rugby union. 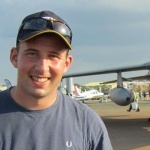 When not watching rugby or out and about walking, he spends his time photographing military aircraft in the valleys of mid Wales! Ian is farmers son, growing up on a mixed farm, west of Shrewsbury. In his early years he studied agriculture at Walford College. 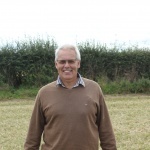 Ian as well as Bill, worked for David Nunn Ltd in 1989, as an agronomist. 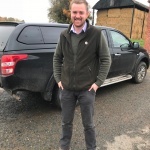 He then joined the team at BCW in 1999, dealing with mainly mixed farms in west Shropshire and Welsh Borders, he is Basis, FACTS and Beta qualified. 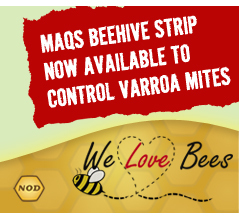 Ian covers all products from animal heath, minerals, additives to agrochemicals. He also specialises in maize crops. He enjoys watching, rather than playing football, in his spare time.. Grew up on a farm near Nantwich and graduated from Reaseheath College, with a Licentiateship degree. He has 25 years of farming experience, including milk production and grassland awards. 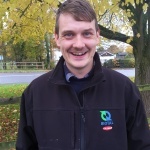 Dave joined the team at BCW in 2005, primarily specialising in forage crops and all aspects of milk production and animal health issues. Dave is BASIS and FACTS qualified. Dave’s interests outside of work include tennis and shooting. Graham was born in Cheshire and grew up on a dairy farm near Nantwich. He studied agriculture at Reaseheath College. 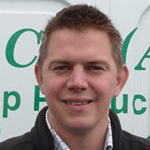 Graham has a wealth of practical experience having worked as an agricultural contractor for 14 years. Graham is BASIS, PA1, PA2 and PA6 qualified. Outside of work, Graham is a keen football supporter. 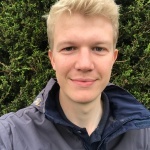 Originally from West Sussex, Peter has been involved with agriculture for the last 10 years, latterly focussing on agronomy. He is BASIS and FACTS qualified, and is studying for the BASIS Diploma in Agronomy currently. Outside of work Peter enjoys walking, reading, going to the gym and watching sports. Grew up on a mixed farm in Pitchford, south of Shrewsbury. He graduated from Bristol University with a BSc (Hons) in Biochemistry, he is also Basis, FACTS and Beta qualified. 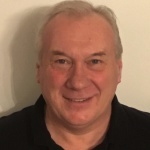 After graduating, Bill worked on farm for 4 years, he then joined David Nunn Ltd in 1985, working within in the areas of Shrewsbury and Newport. 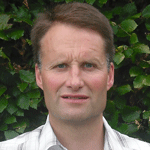 Bill joined BCW in 1999 and specialised in working with arable farmers. In his spare time Bill loves snow skiing (not often enough), tennis and the odd game of golf. He is also a very keen follower of Rugby union. Nick has a background in agriculture, his grandparents were farmers. He studied at Walford College, gaining a wealth of experience on a large arable farm during his Sandwich year. Upon leaving college he worked for Lord Stafford estates as sprayer operator before joining David Nunn Ltd in 1998. He joined BCW in 2005. He is BASIS, AMTRA and FACTS Qualified. 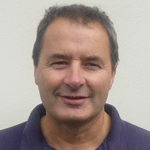 Nick covers Shropshire and Mid-Wales and deals with both arable and mixed farms. He enjoys mountain biking and golf as activities away from work. Working in the Welsh borders area and into Shropshire. Richard is AMTRA qualified and working towards his BASIS qualification. In his spare time Richard enjoys going skiing and playing rugby for his local team. After growing up on a mixed farm in Acton Burnell, near Shrewsbury, Dai went on to study Agriculture at Walford College. He worked for UAP, then joined BCW in 2001. He is largely responsible for running company trials sites. Dai is Basis, FACTS and Beta qualified. He primarily concentrates on arable and mixed farms south of Shropshire, specialising in potato management and all aspects of crop production. Dai’s interests include shooting and rearing children. Dai is an avid supporter of Shrewsbury Town. Alistair grew up in Suffolk, gaining practical experience on a range of farms in the area, as well as keeping his own small flock of sheep. He graduated from Harper Adams University with an honour’s degree in Agriculture. During his placement year Alistair spent 15 months on a mainly arable farm, and was involved in all farm operations. Away from work Alistair’s interests involve watching football and training his sheepdog.